You won't find Sasha Neglia, arguably the top girls runner in the state of Tennessee, in the final results from Saturday's Large School Division I State Championships in Nashville. Nor will you find the Dobyns Bennett High School girls team credited with a podium finish despite a stellar race plan and a rounded effort on the famed Percy Warner Park course. That's because those performances were taken away after a miscue by Neglia in the final 200 meters. But we're not putting this on her. You can argue this wasn't really an athlete miscalculation at all. Rather, in a time when most cross country championships across the country have lead carts guiding runners along course terrains, this was a failure on the part of the Tennessee Secondary School Athletic Association to properly mark a course's final meters. Quite frankly, this should never happen. 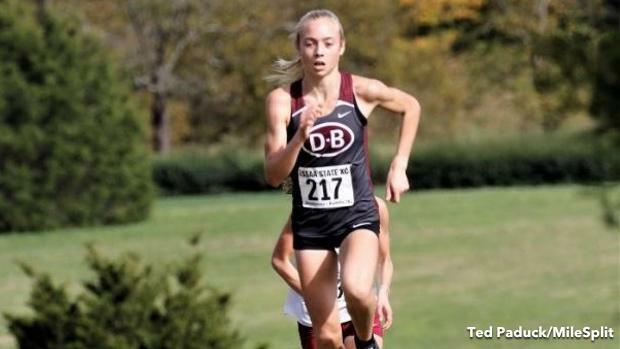 In her junior season, Neglia was going for her third straight title, and while the race did have a very clear state contender in Science Hill's Jenna Hutchins, the Dobyns Bennet junior was well on her way toward closing for another state title. She owned the No. 1 time in the state with a PR of 17:18.60. According to reports from Saturday, the final markings in those final meters were somewhat confusing, but to make matters more difficult, there was no gator for the leaders to follow. Neglia took a wrong turn without ever realizing it. Hutchins almost followed, before officials quickly directed her the other way. Now, was it a DQ? There's not much doubt in that. While a mistake was made, it ultimately provided an advantage, and the right call was made. But the large point goes beyond that. While teams should be responsible for knowing the course layout well in advance, and athletes should know all the dos and donts within that terrain, at the end of the day there needs to be some accountability on behalf of the state's governing athletic association overseeing the race. You can't let your athletes lose this way. With the finish line nearly in sight, Neglia, who's been on and off the MileSplit50 national rankings for much of the season, made her final move on Hutchins with less than 400 meters to go. But after taking a slim lead, the defending NXR Southeast runner-up took a right instead of a left, taking the inside route just shy of a tree on the course, and made her way to the finish in 17:25. Hutchins, the highly productive freshman who was Neglia's biggest competition this season, reportedly was about to follow suit before officials reeled her back in, advising her to take the appropriate left, and she finished in 17:37.01, per TriCities Sports. It wasn't until later that Neglia realized her mistake. Officials conferred shortly after and handed the junior a DQ for gaining a significant advantage. The ensuing byproduct of that decision also moved Dobyns-Bennett off the podium and back to eighth as a team. Hutchins ran well and could have been in a position to win in a dead sprint in the final meters anyway, but that moment never came. She got the title by default. Tennessee MileSplit editor Will Boling called the situation "one of the most controversial races in the past decade." Dobyns Bennett coach Bob Bingham wasn't pleased, either. "We've raced in Alabama, North Carolina and at Boone and Bristol and every race, every race has a continuous course markings and a lead golf cart or gator," Bingham told TriCities Sports. Had Neglia scored, Dobbyns Bennet would have tallied an unofficial 142 points, well ahead of second-place Farragut. Bingham called the lack of course markings "complete mismanagement." Runners have been competing at the state championships at Percy Warner Park for decades. The last time the championships were at a different venue was in 1968, when the race was held at Shelby Farms Park in Memphis. At the end of a debacle like this, nobody wins.